Since the earliest iteration of the design in the 18th century, the coupe has been the small, sporty member of the vehicle family. Essentially a smaller version of sedans, coupes feature room for 2-4 passengers between one or two rows of seats. While most coupes have a single door on either side, some versions have four doors for easy access to a rear passenger bench. These versions, in particular, are much like sedans, with the main difference being that coupes have less than 33 cubic feet of rear interior volume. Since these vehicles have almost no cargo space, they're rarely used as family vehicles. Instead, coupes are often driven for fun on racetracks, scenic roads, or day trips. Some companies have begun using the term coupe for marketing since the word is seen as more exciting than the ""boring"" family sedan. Ultimately, coupes tend to fall into one of two categories. Passenger coupes are simply a way of getting between two points with comfort and style. Sport coupes are more like racing vehicles - in fact, some really are racing vehicles - and have significantly more power and performance than their small size suggests. Most coupes sold today are sport coupes since there's little demand among families for vehicles that don't have the space to hold children and groceries at the same time. As luxury vehicles, coupes tend to come with more bells and whistles than their sedan equivalents, especially when it comes to performance and control. It's not hard to find coupes with hundreds of horsepower, allowing them to perform well even when loaded with as much as will fit. The biggest flaw in coupes is, perhaps, inevitable - they simply don't have the mass of larger vehicles. This can make them more dangerous during a collision, especially when a much larger vehicle is involved. This isn't as important for city driving, but it's something to think about if you're on the highway a lot. As far as fuel economy goes, coupes vary significantly. Many of the better models receive at least 25 combined miles per gallon, but some hybrid and electric versions have achieved more than 100 combined miles per gallon. That said, there's usually a tradeoff between power and fuel economy, so it's important to check the exact specifications of any model you want to purchase. Don't limit yourself to the sticker price when deciding which coupe to buy - the long-term cost of ownership is a better measure for any vehicle, but it's especially applicable to coupes. Listed below are the coupes that received the 2019 J.D. Power award for highest quality, based on verified owner feedback detailing the number of problems they experienced with their new coupes during the first 90 days of ownership. Listed below are the coupes that received the 2019 J.D. 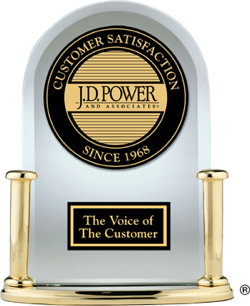 Power most dependable award based on verified owner feedback detailing the number of problems they experienced with their coupes throughout three years of ownership. The fewer the number of problems reported, the better. Listed below are the coupes that received the 2019 J.D. Power award for best performance based on verified owner feedback after 90 days of ownership. For the 2019 model year, the Mustang Bullitt returns for a third time. The latest iteration offers more power, performance, and equipment than a standard GT along with special styling and interior design elements.